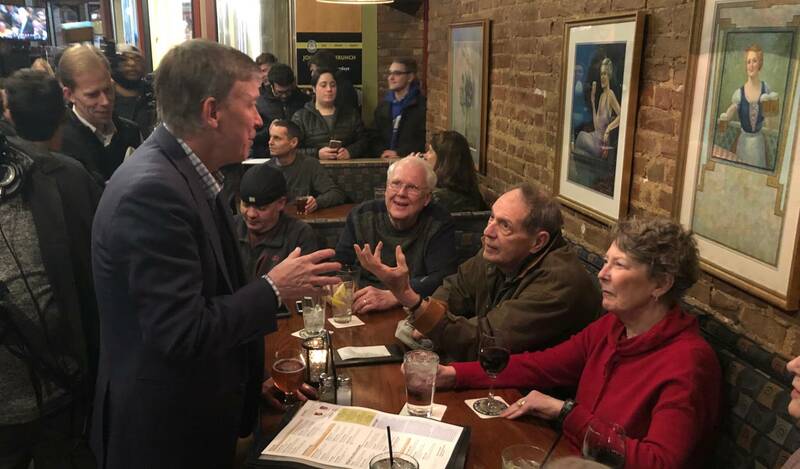 Former Colorado Governor and craft beer aficionado John Hickenlooper made the most of his stop at Court Avenue Brewing Co. on Sunday. He kissed a baby, poured a craft beer for a voter (and then himself) and got to introductions. 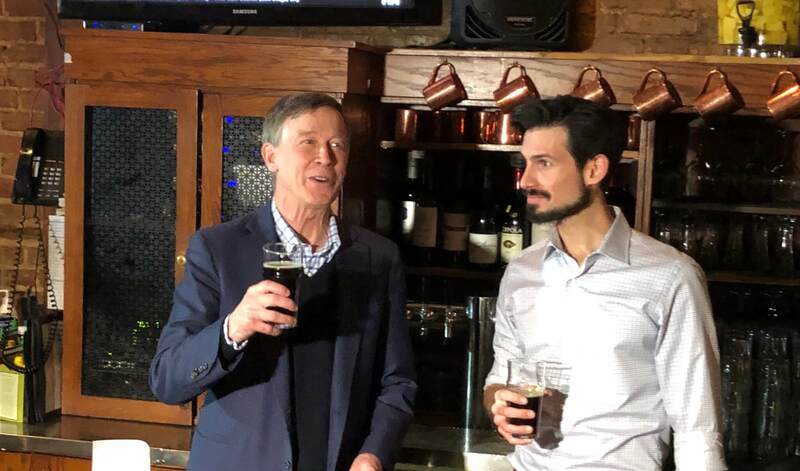 Inevitably, one of the first questions Hickenlooper received from a voter was regarding how the state, under his watch, rolled out one of the nation’s first recreational marijuana policies. 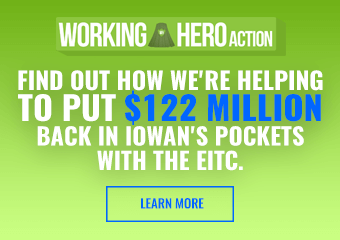 Polling in recent years shows increasing support in Iowa for both recreational and medical marijuana. 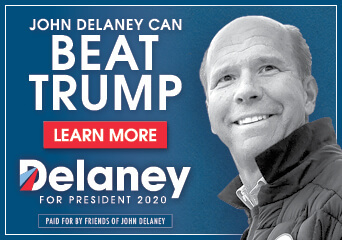 This topic strayed from the standard 2020 campaign issues Democrats have addressed on their stops in Iowa, which could be an example of how Hickenlooper potentially sets himself apart from a growing pool of candidates. He also faced questions about his position on border security and the recent government shutdown. 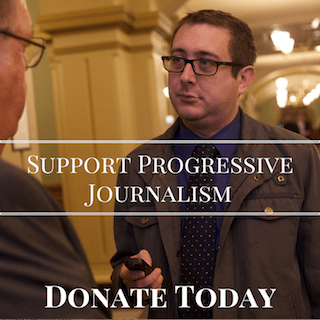 “It’s hard for me to support funding for something that’s purely symbolic, that wastes [taxpayer] money that could have real benefits if spent elsewhere,” Hickenlooper said. 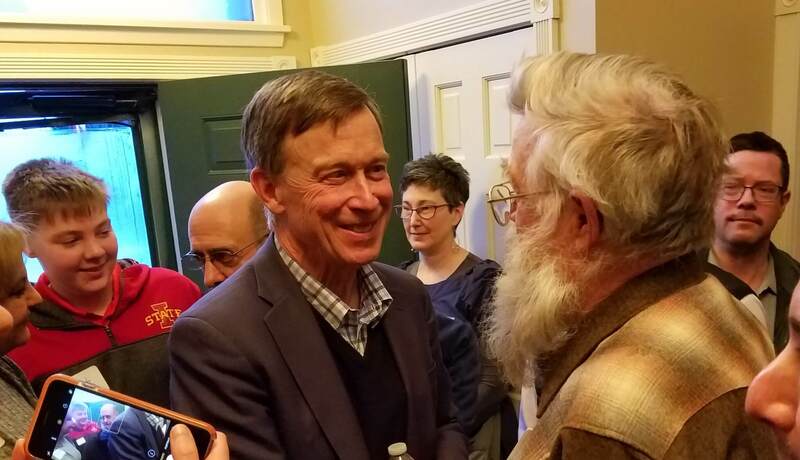 Hickenlooper also emphasized his willingness to engage in problem solving, something he indicated he had been hearing from voters as a desired trait for their 2020 pick. One thing many caucus-goers may be looking for, however, is a younger candidate. Hickenlooper, 66, is younger than Joe Biden and Bernie Sanders – both of whom are said to be considering running – but older than Kamala Harris and Julián Castro, but that doesn’t seem to faze him. Hickenlooper still hasn’t officially announced that he’s running for president, but between a stop earlier in the day at a house party in West Des Moines, and this event downtown, he has good things to say about his experience in Iowa.